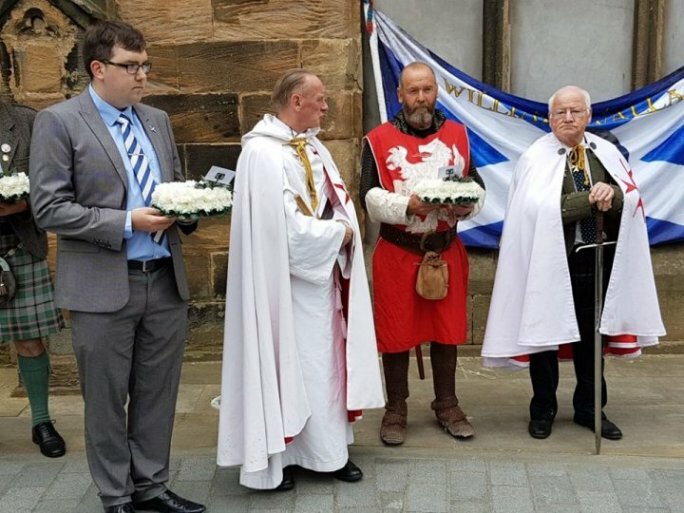 Another great day for The Society of William Wallace as two plaques commemorating Wallace were unveiled at the Church, one inside & one outside. See more on the page itself. 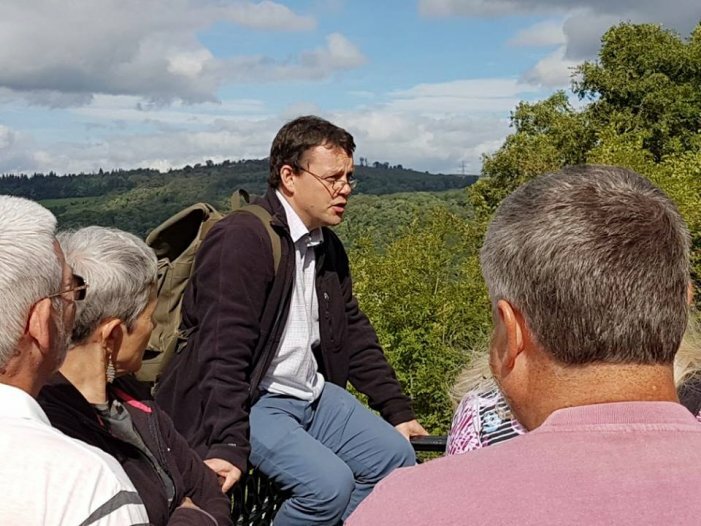 14th May 2016 - David R Ross was remembered in London by a plaque to commemorate his epic walk from Robroyston to Westminister. 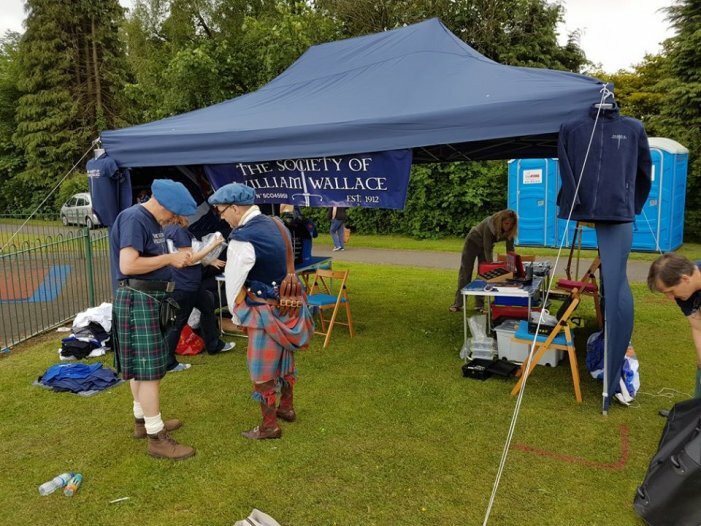 The Society of William Wallace had the pleasure of attending "Lilias Day" in Kilbarchan, Renfrewshire. 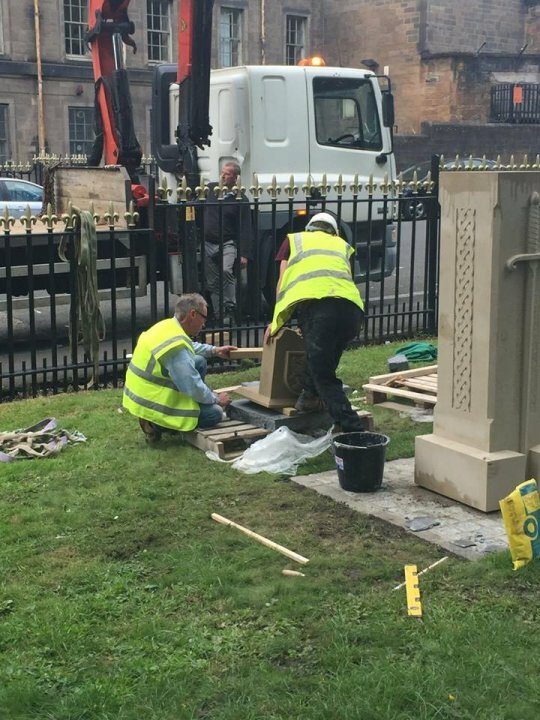 The Bell o' the Brae monument is put into place. 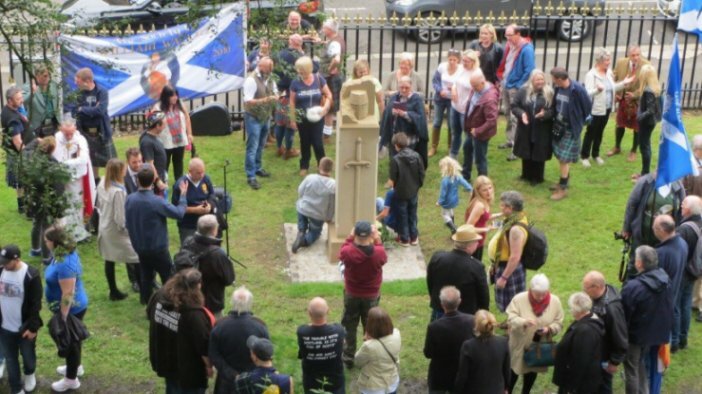 David R Ross came up with the idea of the Bell O' The Brae about 7 years ago, and I am chuffed to bits that we finished what the great man started. 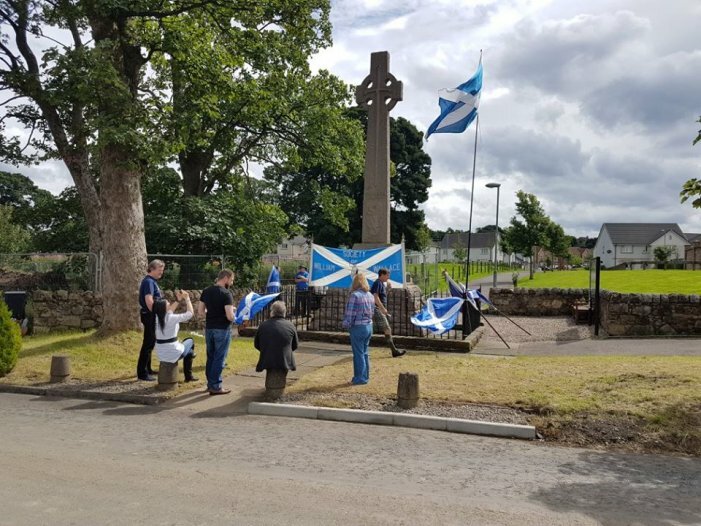 The annual commemoration of the Battle of Falkirk was held on the 23rd of July this year. 6th August 2016. 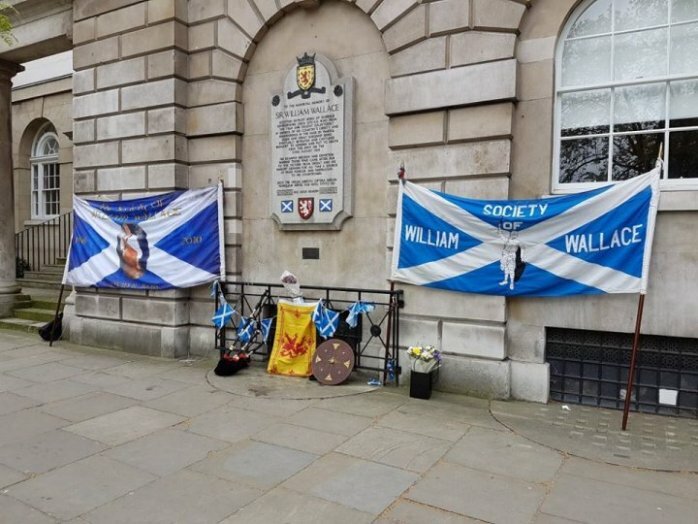 The 711th anniversary of our hero's betrayal & capture. 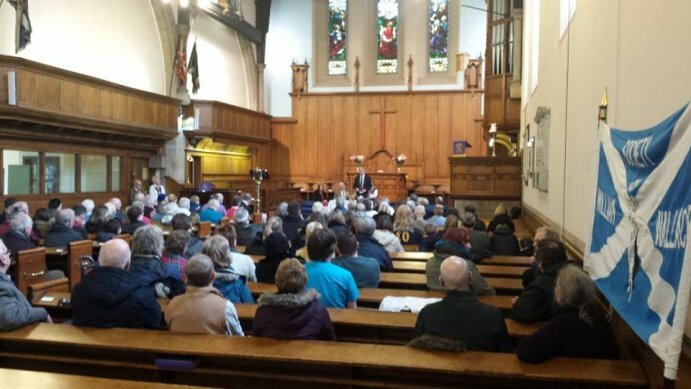 A decent day, and a good turn out for the event. 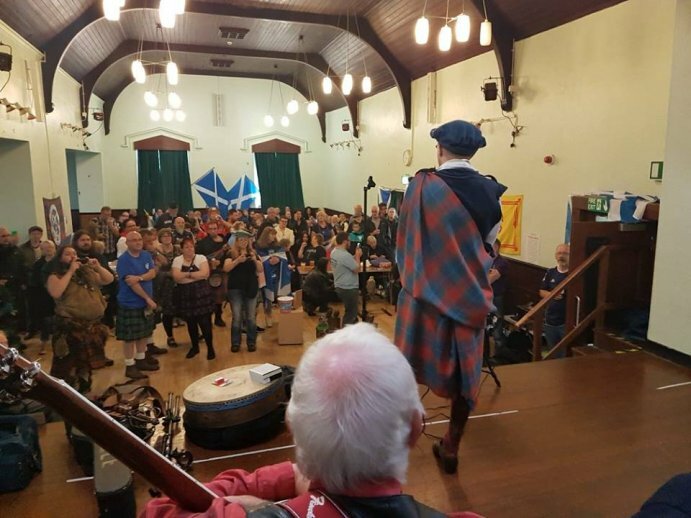 Our big day of the year, as always - Wallace Day in Elderslie, 20th of August this year.